There will be some “mechanical differences” in Battle for Azeroth’s next raid depending on whether you’re Horde or Alliance, which may affect community spectacle that is the race for world first. The news comes via game director Ion Hazzikostas in a Q&A earlier this evening. Hazzikostas says the nine bosses in the raid “may be faced in the same order between the two factions.” The Alliance may get to play their six bosses in order, and then see a flashback of what the Horde did for the final three bosses. The Horde may get to do the first three bosses, get their flashback to see what the Alliance did, then finish with the last three Horde bosses. Bottom line: “there are going to be some mechanical differences between the two experiences,” says Hazzikostas. On the topic of crowning world first, he adds “I trust the community to figure that out.” It may be that for this one time, the Alliance first and the Horde first are recognised separately. Dazar’alor is the new Horde hub in Battle for Azeroth, with the Horde defending it and the Alliance attacking from the sea, so having the raid play out in two different routes does make sense. The raid has been in testing for the past few days under the name Siege of Zuldazar, though Hazzikostas says this may be changed to Battle for Dazar’alor, or indeed something else. It’s due to go live with patch 8.1, also called Tides of Vengeance. We don’t yet know when that’s due to land, but while you’re waiting, you can check out Wowhead’s impressions of the live test. Elsewhere in the Q&A with Hazzikostas are details of changes to Resto Shaman, the Azerite system, and shake-ups to some Tanks – you can watch it back on Twitch or check out this text summary courtesy of Wowhead. 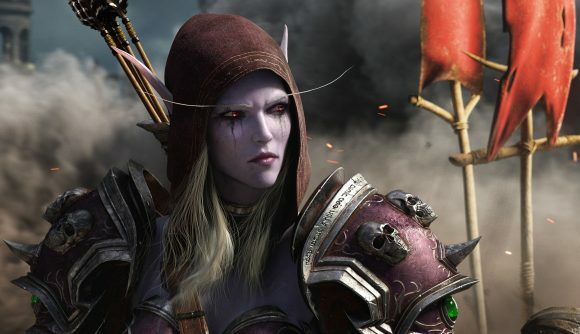 Battle of Azeroth always had big shoes to fill, coming on the heels of Legion – perhaps WoW’s best expansion to date. Take a look at our Battle for Azeroth review to find out if it meets the challenge, or if you’ve yet to take the plunge, have a look at what a new player made of their own first forays into the World of Warcraft.